David L. Page Tree of Giving. 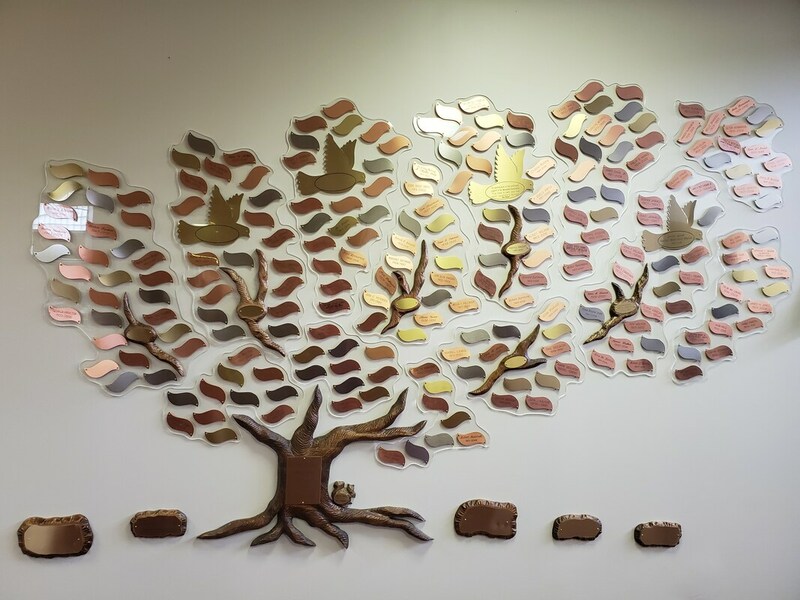 This beautiful tree is used to commemorate and celebrate people and groups in our community, as well as memorialize a loved one who has passed on. For a specified donation you may purchase a brass, silver or copper leaf, a dove, or a large or small rock to have your message, name of a loved one, or important date memorialized. Some of the spaces available are large, allowing the donator to print a short story, favorite poem or personalized message. Different fonts may be chosen. Please stop by to see this magnificent sculpture and discuss how you can commemorate your special occasion or loved one while contributing to Golden Hour Senior Center.